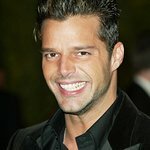 Global superstar, philanthropist and bestselling author Ricky Martin announced today the launch of PiccoloUniverse.com, a multi-lingual community website giving parents and caregivers from all around the world a place to celebrate and share the joys and struggles of raising children. Piccolo Universe, founded by Martin, is a welcoming community where members can share experiences, offer tips, and give back. The website provides a convenient and centralized source of engaging information created by both Piccolo authors and community members focused on the day-to-day journey of life and raising children in the digital age. The articles and blog entries, written by a talented and diverse group of contributors — including Martin — cater to the diversity of its members’ cultures, which are reflected in the topics and languages (English, Spanish and Portuguese) of the site. Martin, a father of 5-year-old twins, Matteo and Valentino, was inspired by the boys to write his first children’s book, “Santiago The Dreamer in Land Among The Stars” to be released November 12th, 2013, and create the Piccolo community as a place where members can explore, contribute, and connect with other parents and caregivers. “These days, for me it’s all about finding the best ways to teach, inspire and nurture my family. It’s a big job but it’s the most rewarding role I’ve ever played — also the most collaborative. My friends and I learn so much when we share ideas, which is why I’ve launched Piccolo Universe. “I can’t wait for you to meet the moms and dads who will contribute to the site, bringing you into their lives and daily joys and struggles. Most of all, I’m excited to hear from you. Don’t be shy, comment on the articles and share your thoughts in the forum, and know that I’ll be reading, watching and commenting as well. Thank you for visiting and being part of the family of Piccolo Universe,” said Piccolo Universe’s Chairman and founder Ricky Martin. The new website includes tips, how-to’s and expert advice through beautifully designed blogs, social media, videos, and photos. There is also a forum where community members can ask questions about child-rearing issues as well as help other members by contributing answers and viewpoints. With this important launch, Martin continues to follow his passion and commitment to the well-being of children around the world. 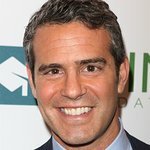 For over 10 years he has continuously dedicated himself to the efforts of The Ricky Martin Foundation, which advocates for children around the world in critical areas such as education, health and social justice. Piccolo Universe and the Santiago book series are extensions of those efforts, and Martin is excited by the prospect of bringing together a worldwide community of dedicated parents.